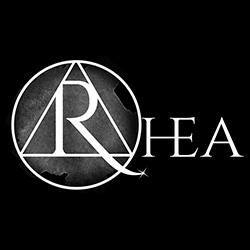 Rhea is a revolutionary crypto-equity hybrid token. Our main mission is to create a clear synergy between the worlds of finance and cryptocurrencies. Through the Rhea Crypto20 – our capitalization weighted index, we will enable multiple ways of hedging, speculating and investing in the cryptocurrency market without holding any individual currency. The Rhea token will be used to buy and sell options on our platform or provide market liquidity for extra return. Rhea aims to achieve a crypto-equity synergy by adopting the best features from both worlds. From financial markets we will take long-term value adding instruments, multiple ways of participation and dividends. From cryptocurrencies – bypassing burdensome regulations, fast and simple execution, as well as the opportunity to invest in exotic assets. Rhea is ERC-20 compliant and is built on the Ethereum blockchain. It is the means by which options trading will be executed on the platform and dividends will be paid out. We value transparency above all. Currently cryptomarkets are unregulated and ICOs are not obliged to provide any accountability or performance results to their investors. Although in the cryptocurrency world such regulations still do not exist, we still choose to integrate them in the core of our company by providing token holders multiple ways of tracking our performance through our accountability systems such as daily transaction volume on the entire platform and complete capital allocation breakdown. In contrast to equity markets, the world of cryptocurrencies currently has 2 major flaws – fragmentation and specific knowledge. Traditional markets are well structured and covered by multiple indices, which give investors a clear view of how they are performing and what the overall state of the market is. Most investors cannot fully understand all cryptocurrencies and are uncertain which one is the best. Investing through the Crypto20 will enable participants to bet on a market direction or to hedge their portfolios against volatility and unexpected risks. Our goal is for the Crypto20 index to become a benchmark of the cryptocurrency market. Options trading is how investors will take position on the index. The platform launch is planned for 15.03.2018 and additional features will be introduced in the following 3 months. Post launch, Rhea will pay out quarterly dividends to all token holders. They will be based on transaction costs revenue from options trading, before the subtraction of any expenses, such as operational and maintenance costs. The dividend payout ratio will range from 20% to 40%, depending on the success of the ICO. Once the payout ratio has been established it will remain the same in perpetuity. The token sale will commence on the 2nd October and conclude on 30th October. The campaign is divided into 5 rounds each with a different discount factor and we will be accepting only Ether contributions. The maximum available supply will be 50,000,000 tokens, of which 42,500,000 will be offered during the ICO at an initial price of 0.000814 ETH/RHEA or about 0.25$/RHEA. These funds will be used exclusively for developing the platform and all of its features. Failure to raise 100% of the required capital would result in the permanent reduction of the total supply of Rhea tokens. The burn model will keep the distribution pro-rata to the individual contributions made. This way we avoid two issues: us having more than 15% of the total supply and giving contributors an abnormal amount of Rhea tokens. The bounty campaign starts on September 11th and will stop one day before the ICO’s end – October 29th. 1% of the total contributions will be allocated for the bounty, or a maximum of 333,333.33 RHT – whichever is lower. There will be 5 sub-campaigns in descending order of importance – Bitcointalk, Twitter, Articles&Videos, Facebook and Translations.